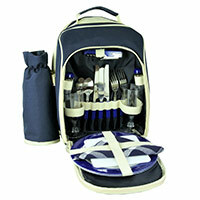 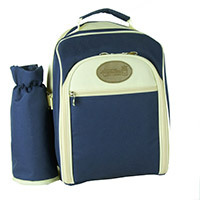 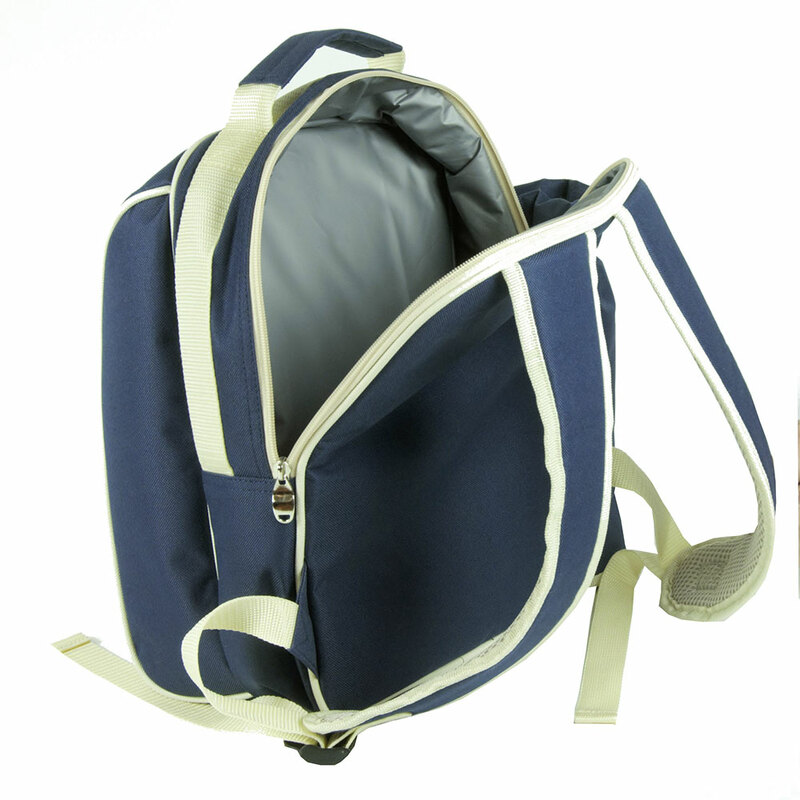 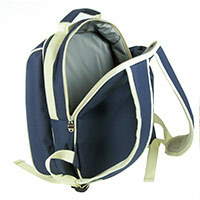 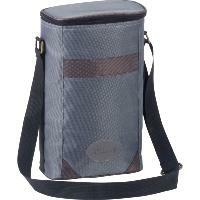 A light, washable 600 denier polyester picnic backpack in blue and beige for 2. 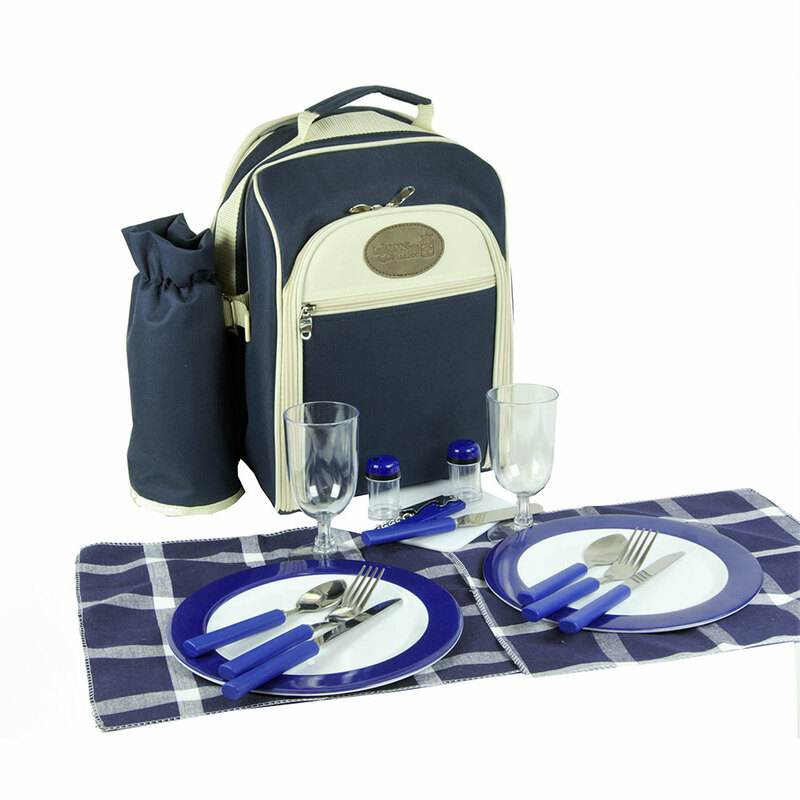 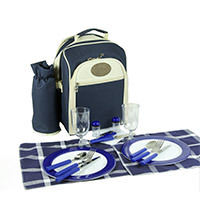 All the accessories you need for your picnic arestored in a large, insulated zip pocket: blue melamine plates, a complete setof cutlery for 2 people, hardwearing acrylic glasses, a multi-functionbottle opener, a chopping board and bread knife, 2 napkins and, finally, saltand pepper shakers. It also comes with a detachable, insulated bottleholder.